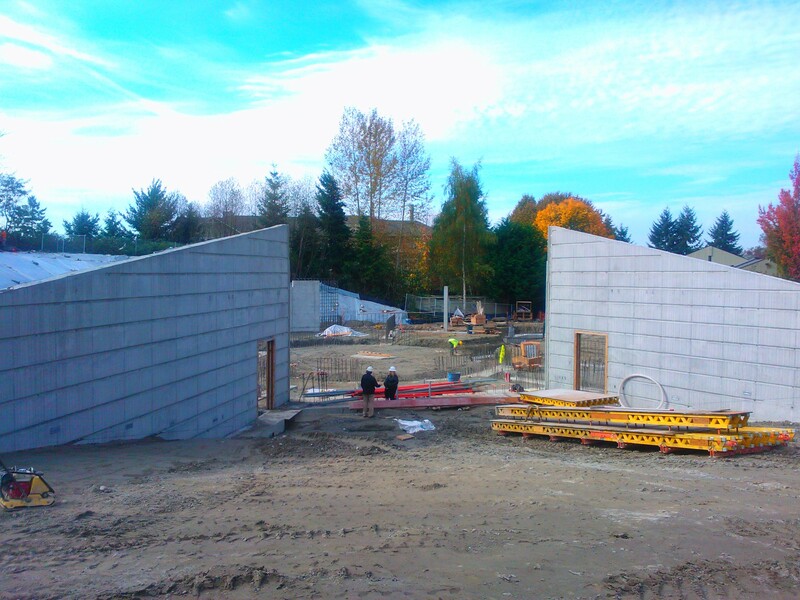 Can hardly believe it…the new Bellevue Youth Theater building is more than underway. 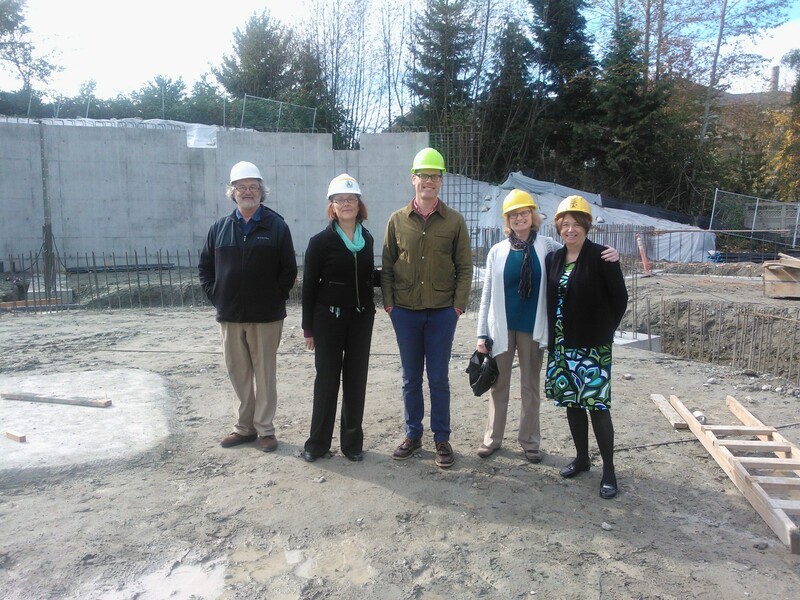 On October 15, 2013, the Arts Commission got a private hard hat tour with City of Bellevue staff members Shelly Brittingham, Mary Pat Byrne, Scott McDonald and BYT Director, James McLaine and fellow BAC Commissioner Trudi Jackson. The Gold LEED certified structure is taking shape. After a summer of digging, the foundational work is being done. Some of the concrete walls are up and it’s beginning to take shape. The scale of the building is becoming visible now. 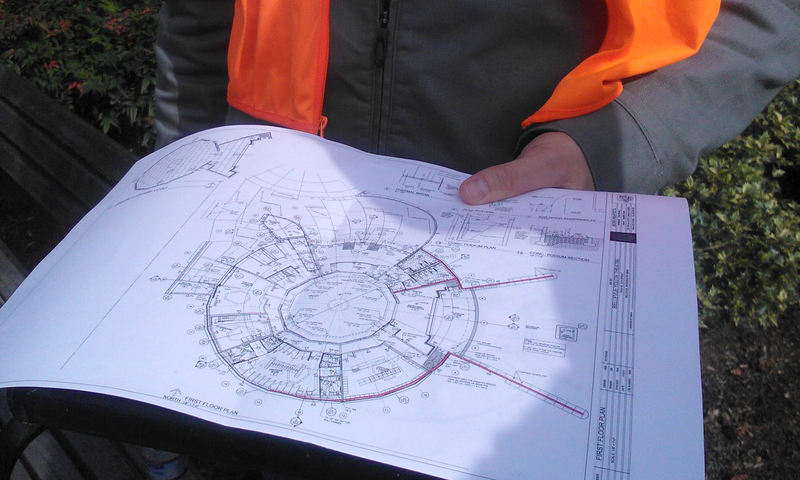 The geothermal system is getting put in place as the structural elements are coming together.